On the title track of her second EP release, Afton Prater sings about wanting a truck. Now, a Sumner dealership wants to use her music to help them sell trucks. 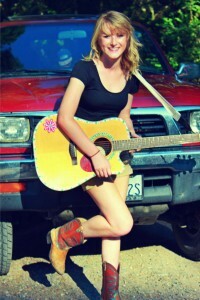 Sunset Chevrolet / Sunset Trucks has partnered with Prater, a Klahowya senior-to-be, to use her song “I Want a Truck” in their western Washington radio and TV advertisements. The 17-year-old singer-songwriter continues to mix the cobbling of a country-pop music career with high school. She’ll take advantage of the summer vacation to play several gigs, starting with KMPS’ pre-function for the June 27 Kenny Chesney concert at Century Link Field. She’ll play at 11 a.m.
Sunset Trucks is sponsoring her full-band show July 12 at Art on the Ave in Tacoma, where she’ll play with keyboardist Kim Enloe, drummer Jonathan Enloe (also a Klahowya classmate), guitarist Brett Angelo and bassist Steve Warren. On Aug. 13, she’ll play for Yakima’s Summer Nights concert series.